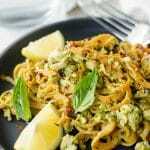 Kale Pesto Sweet Potato Noodle Bowls – delicious homemade kale almond pesto with sweet potato noodles and ground turkey. The perfect healthy dinner! I haven’t done a blog post in 3 months and it’s a little weird to jump back into it. Nothing happened, really. Just the usual end of school stuff and then we’ve been stupid busy with summer activities. So I’ve just been working on behind the scenes blog stuff when I get a few minutes and just haven’t felt like cooking much. And doesn’t everyone stop cooking in the summer? My kids have had sandwiches and quesadillas and cereal for every meal since school got out. I’m kid free for a few weeks and I haven’t been kid free in 11 months. Not even a single night away from them. I had a list of things to do and they all included yoga. There was goat yoga and happy hour yoga and paddle board yoga is this weekend. But yeah, I made something! And hauled out all my photo stuff! And somehow remembered how to use a camera! It’s a miracle! Okay, so my friend Lindsay recently released my new favorite cookbook. It’s called Nourishing Superfood Bowls and Lindsay is kind of a genius when it comes to making healthy food more fun. Her bowls are incredible. They’re bright and colorful and even the most veggie hating person in the world would have a hard time resisting them. The book has a section for breakfasts like smoothie bowls and oatmeal bowls and there’s even one that involves flourless pancakes. And then there’s a section for the savory bowls full of grains and vegetables and all the delicious sauce and dressing recipes you could need. There’s even a section for dessert bowls! The book is largely vegetarian but super easy to add some meat to if you’re into that. Like, this recipe I’m sharing today originally has chickpeas but since I don’t eat legumes, I added 4 ounces of ground turkey and it was delicious. And in a lot of the recipes, she has a note section that actually gives you meat suggestions which is super helpful. My absolute favorite part of the book is that at the very top of each page, the recipe is labeled paleo, grain free, vegan, dairy free, low carb, etc so just flipping through the book, you’ll be able to pick out a recipe to suit your needs really easily. 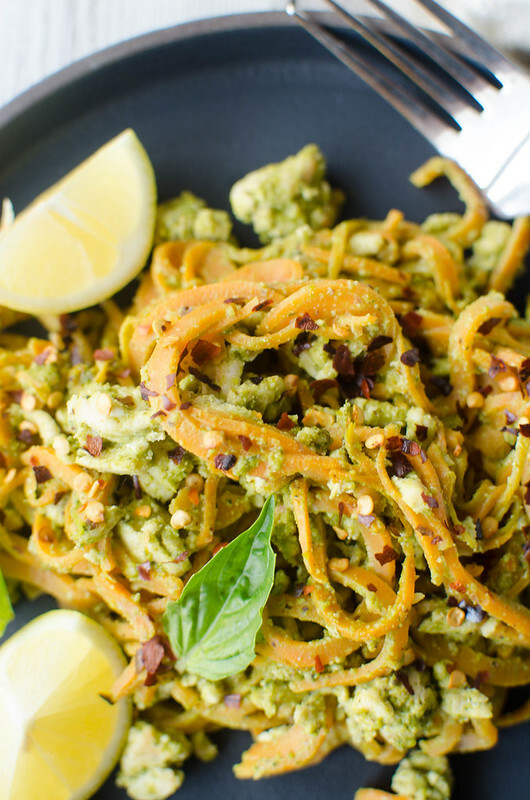 Kale Pesto Sweet Potato Noodle Bowls! These kind of veggie noodle bowls are my go to meal. Which is probably why I’m such a terrible food blogger. Because do you guys really want to see my daily sweet potato noodle, bacon, and runny egg bowl? But seriously, all my meals include sweet potato noodles, butternut squash, or spaghetti squash with a protein and a runny egg on top to make a “sauce”. So this recipe is perfect for me. The kale pesto recipe actually makes a ton so even though is says 2 servings, I think I’ll get at least 6 out of it. I’ve been keeping it in the fridge and adding it to my daily veggie noodles. 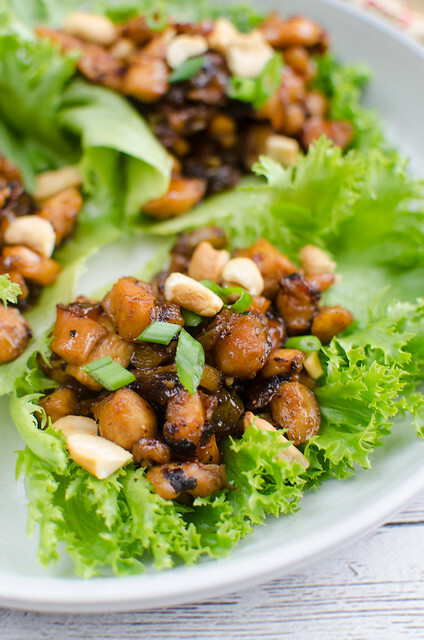 It’s flavorful and delicious and a really easy way to get some greens in. And the pesto is made with nutritional yeast instead of cheese so it’s dairy-free and the entire recipe is paleo. Like I said, the original called for chickpeas but I went with ground turkey instead. 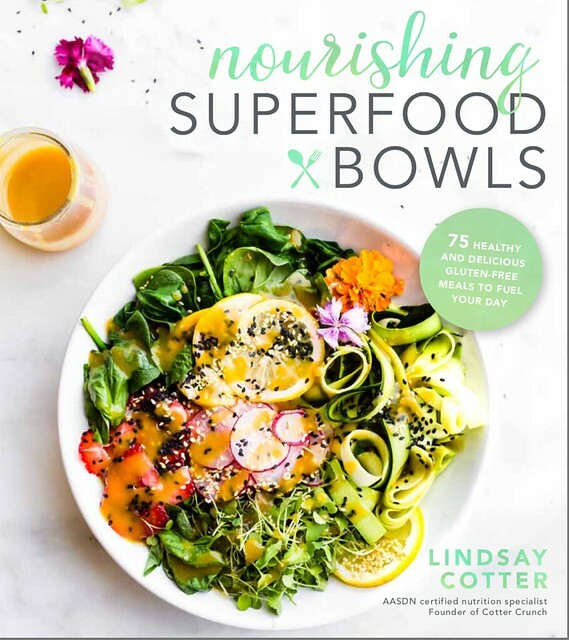 If you love bowl meals as much as I do, you definitely need to grab a copy of Nourishing Superfood Bowls! To make the pesto, combine the kale, almonds, nutritional yeast, garlic, basil, lemon juice, salt and pepper in a food processor. Pulse until somewhat blended, then scrape down the sides. Place the food processor on medium speed and slowly add the olive oil. Blend until a pesto texture is formed. Add additional salt and pepper to taste. Remove from the food processor and place in a bowl. In a microwave-safe bowl, add the sweet potato oodles with the water and cover with a paper towel. Steam in the microwave for 1 minute, until softened, then drain off the excess water. 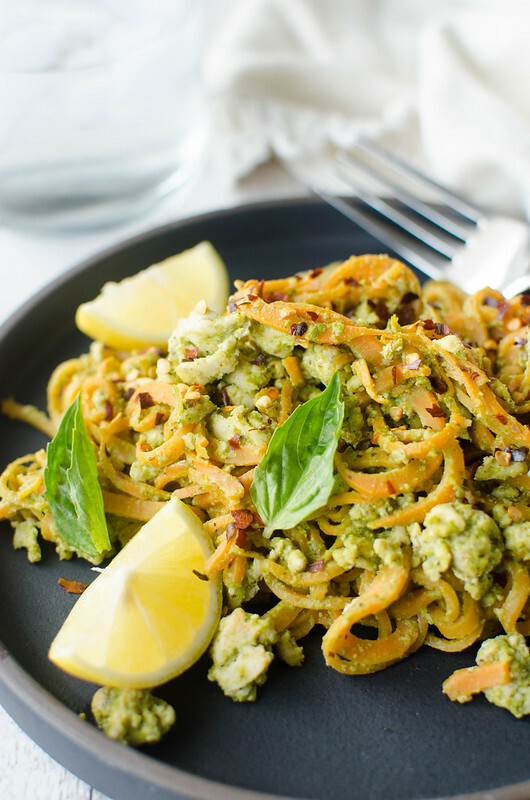 In medium saucepan, add the olive oil, the sweet potato noodles, ground turkey and 1/2 cup of the kale almond pesto. Cook over medium heat for 5 minutes, stirring often, until the sweet potato noodles are cooked. Add to the serving bowls. Garnish with lemon, basil leaves, and crushed red pepper flakes. Season with salt and pepper to taste. 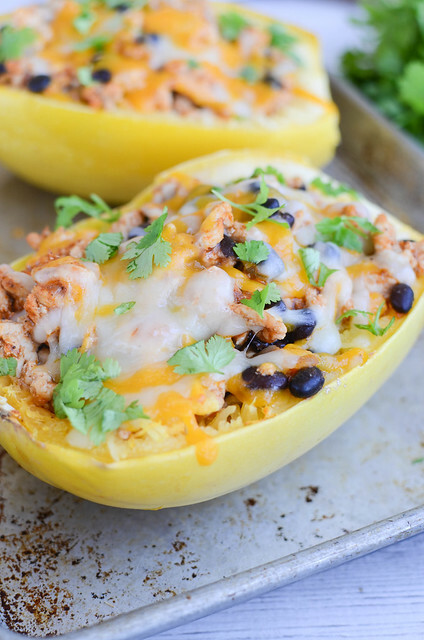 Want more healthy dinner ideas? 2 Responses to "Kale Pesto Sweet Potato Noodle Bowls"
OH my goodness! 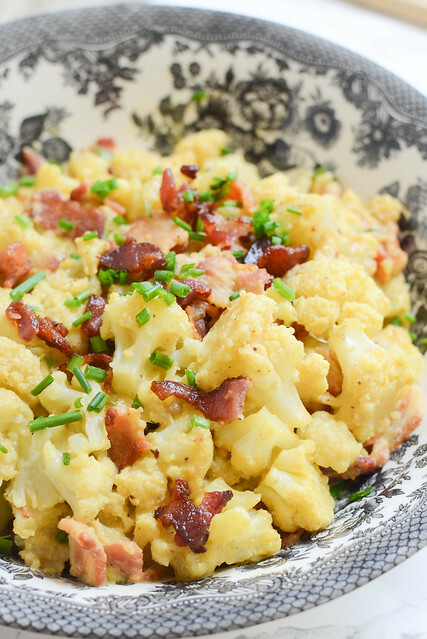 I love anything in a bowl and this looks amazing!!! Sweet potatoes, kale, pesto?? YES, please!! Can’t wait to try it! So fun seeing Lindsay’s cookbook here (I love her blog!) and this noodle bowl is amazing!